Home to over 11,000 students, Bournemouth and Poole College is the largest local provider of Further Education and Apprenticeships. This is a great opportunity for Dorset Mind to reach a wide student audience, for whom mental health is potentially an issue. Pressure is always a factor, whether it’s exam stress, financial or increasingly online. The college do have a strong support system in place, including Emotional and Welfare support, and we will work alongside them to help signpost and offer information about our services. 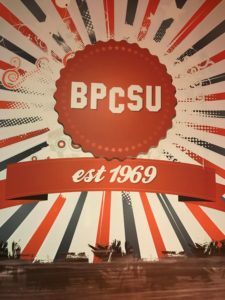 BPCSU is run by students for students. They encourage all students to take an active part in the student community. They can join a club/society, take part in games and activities as well as becoming a member of the NUS. We’re looking forward to supporting the many awareness and fundraising events organised by the Students’ Union over the year and will offer volunteer opportunities where possible. Keep an eye on our social media and our events page for further details!